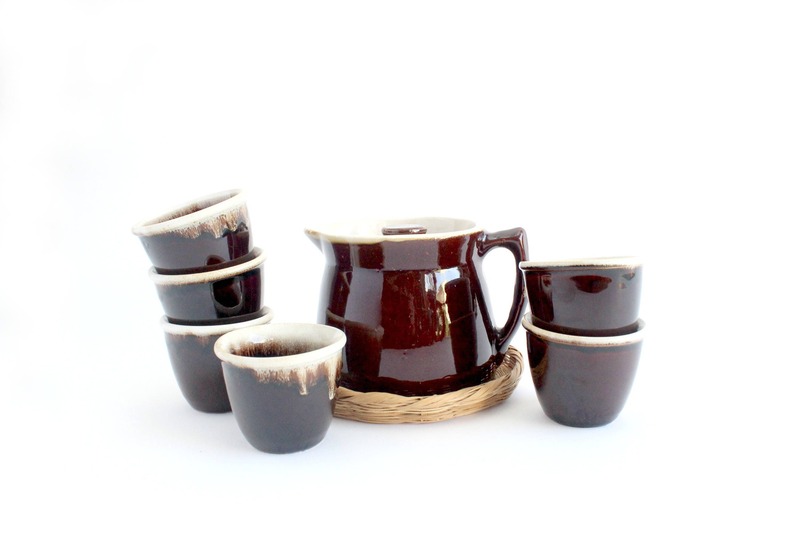 Beautiful glazed stoneware tea/coffee set. 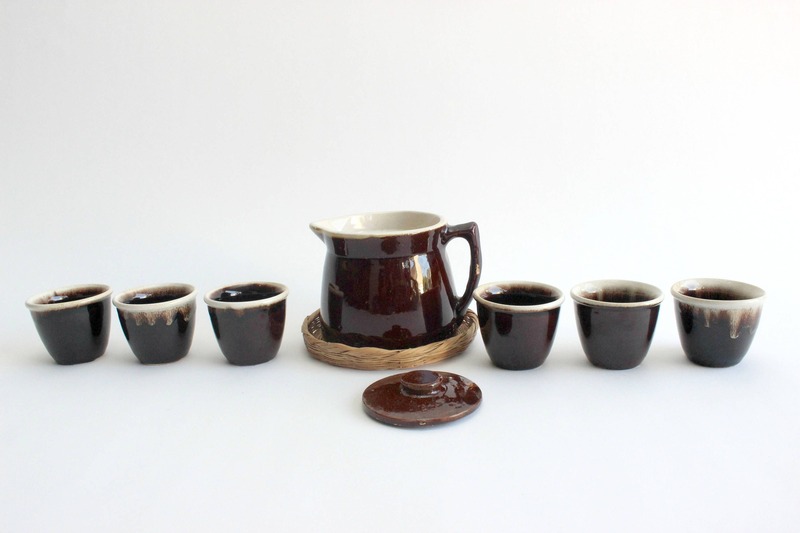 This 8 piece set includes 1 tea/coffee pot, 6 small cups and 1 round wicker hot plate. 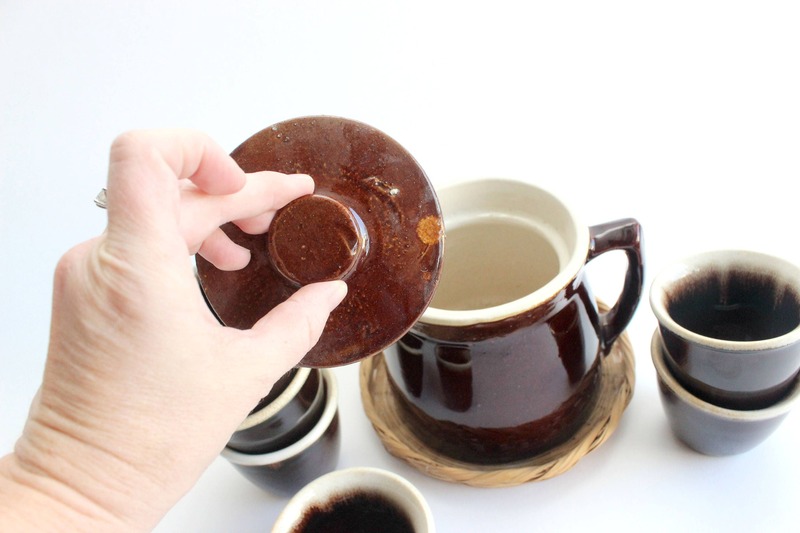 Brown glaze with some variation. Bohemian style decor. 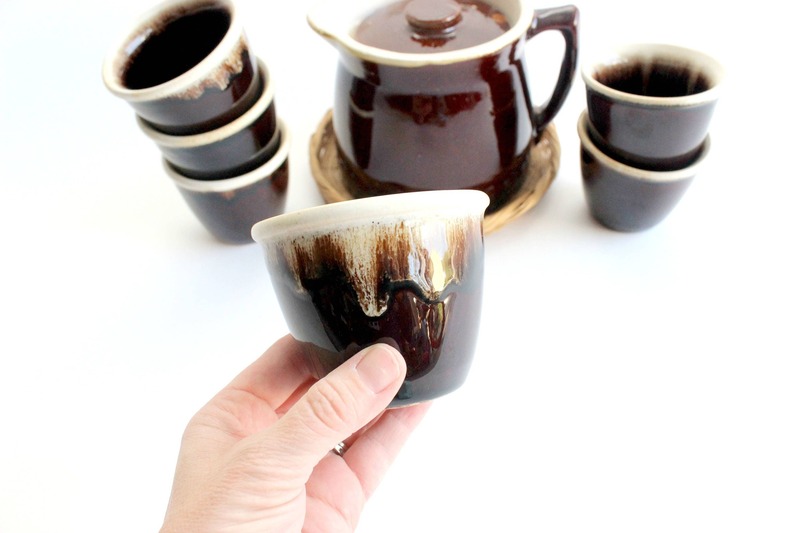 Perfect for serving tea, coffee or hot chocolate. Good vintage/used condition. 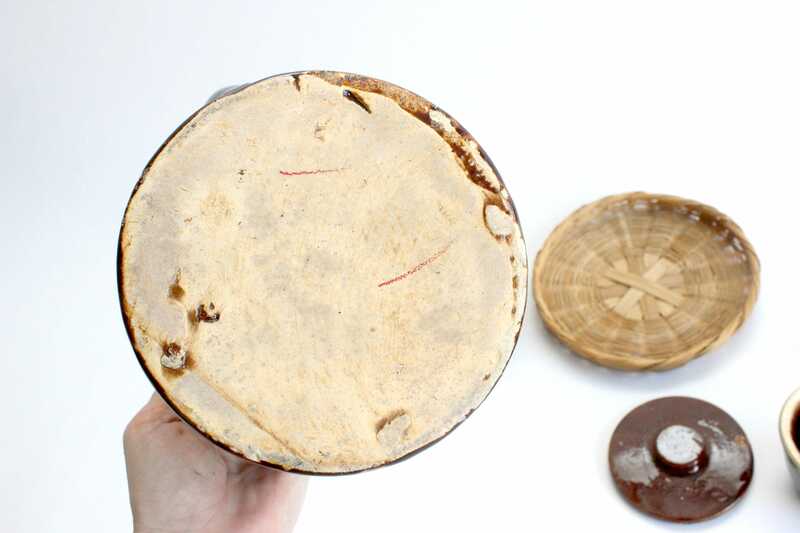 The inside of the lid on the teapot has one small chip (see last photo.) Natural imperfections exist. 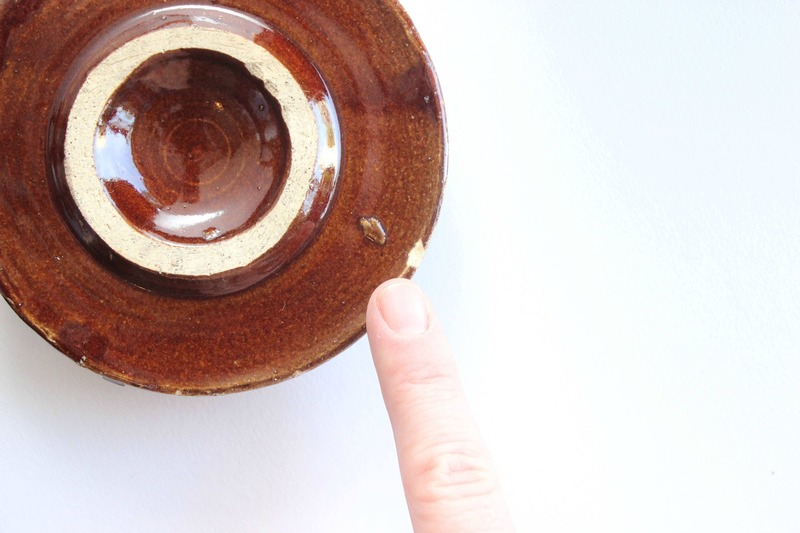 Teapot measures 6.5 inches long, 5 inches wide and 4.75 inches tall. 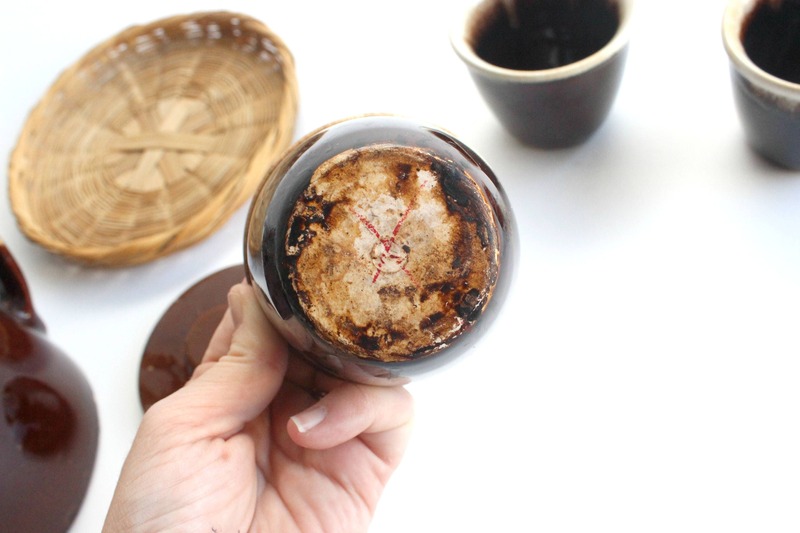 Each cup measures 3.25 inches wide and 2.75 inches tall. 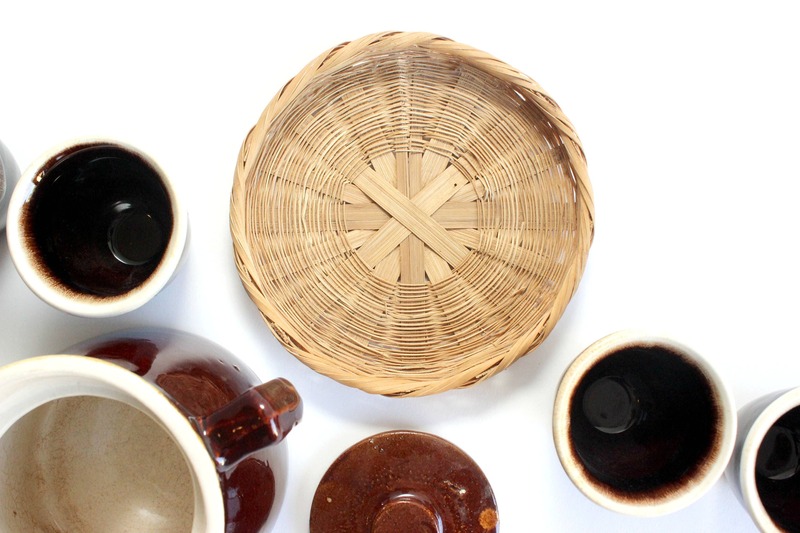 Wicker hot plate measures 7 inches across.